Welcome to Yosemite Sierra Inn Oakhurst, California. 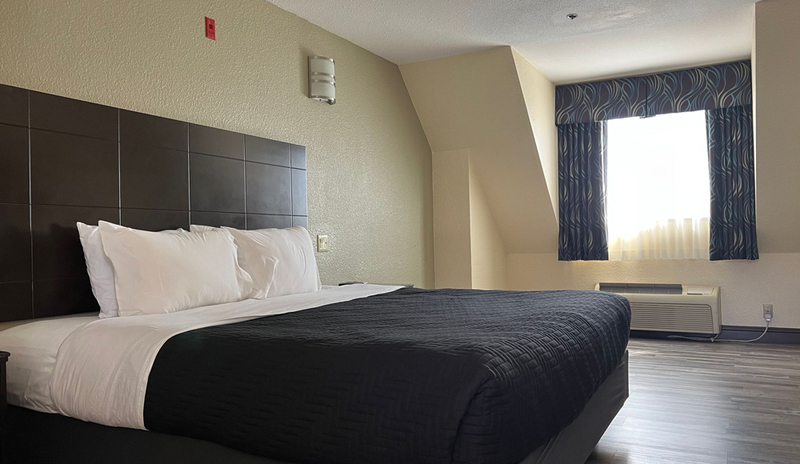 Enjoy mountain views of the Sierra Nevadas and fully remodeled facilities when staying with us. The Yosemite Sierra Inn Oakhurst Yosemite is a 100 percent non-smoking property and is located just 14 miles from the southern entrance of Yosemite National Park. The Yosemite Sierra Inn Oakhurst is located nearby Mariposa Grove and Bass Lake is only 8 miles away. 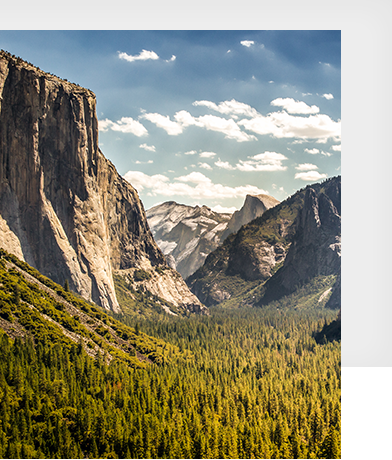 Yosemite Valley is a one hour drive which takes you through the famous Tunnel View drive. 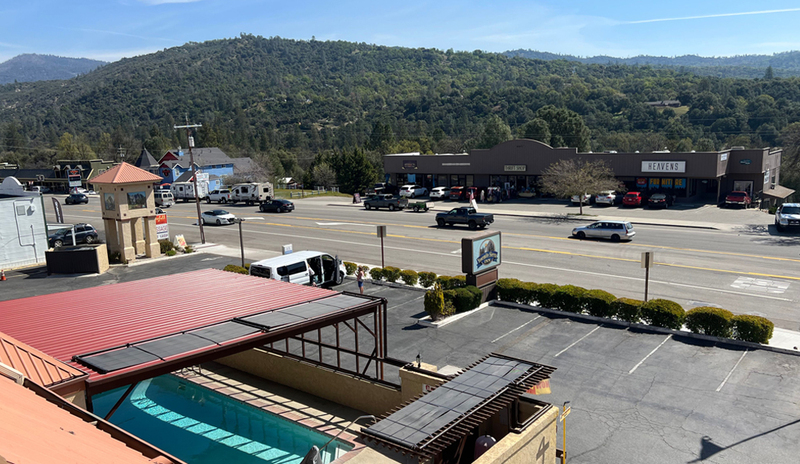 The Yosemite Sierra Inn is conveniently located in downtown Oakhurst on Highway 41 within a short walk or a few minute drive to a large variety of shopping and entertainment. 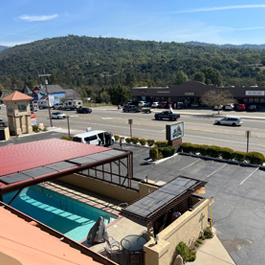 Supermarkets, drug stores, Movie Theater, galleries, and many other services are all located within minutes of the Yosemite Sierra Inn. 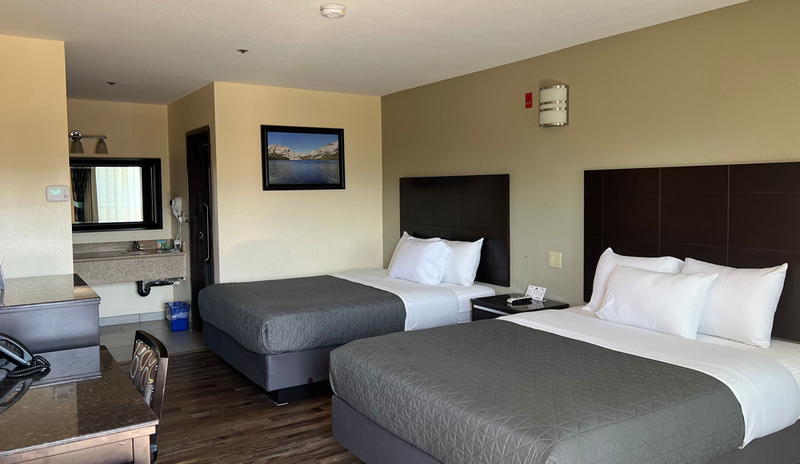 Our 43 beautiful guest rooms have been remodeled with contemporary granite tiled bathrooms and all rooms have flatscreen TVs with Free HBO. 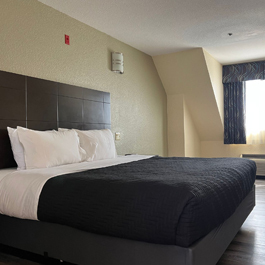 Our rooms over a haven of solitude and our property offers a park like setting with oak trees on the hillside at our top floor parking lot and beautiful mountain views from your room. Lounge by our pool after a long day hiking through Yosemite National Park. 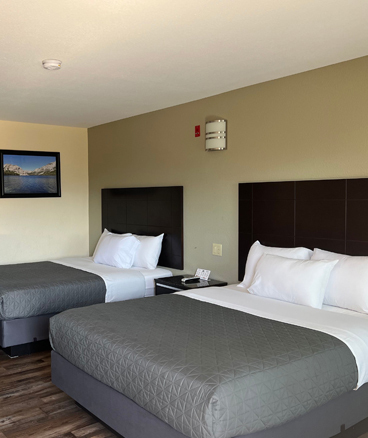 Stay at the Yosemite Sierra Inn Oakhurst and take advantage of one of best values when visiting Yosemite National Park. Children 12 and under are Free. No Pets Allowed. 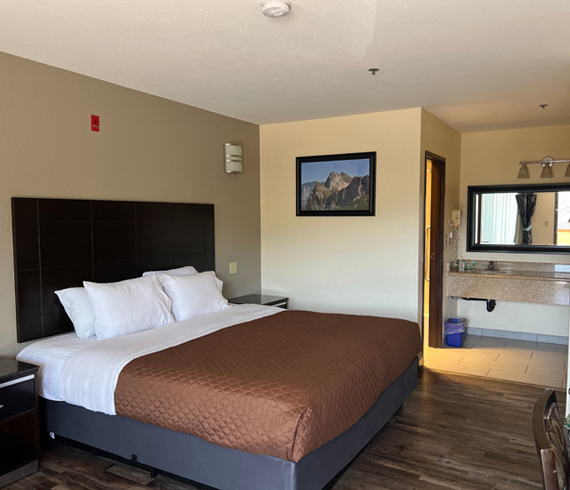 At Yosemite Sierra Inn, we invite you to stay in our large rooms and make yourself at home in the last town before the south entrance of Yosemite. 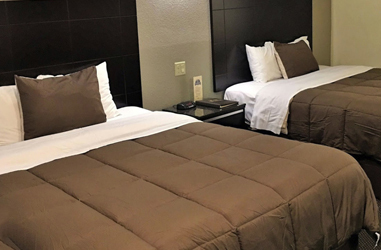 Minutes away from Yosemite Park you can experience a multitude of restaurants, theaters, grocery stores and have a peaceful and quiet place to rest before your Yosemite trip. 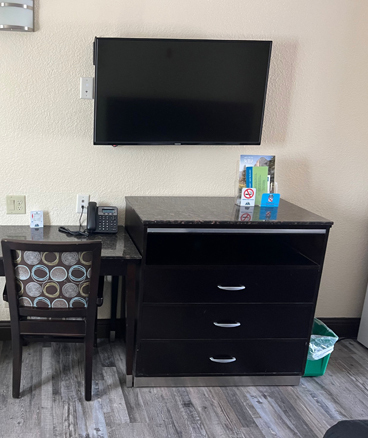 Each of our guest rooms come equipped with all of the amenities you would need while you are away from home; such as, a microwave, refrigerator, heating, air conditioning, and much more. 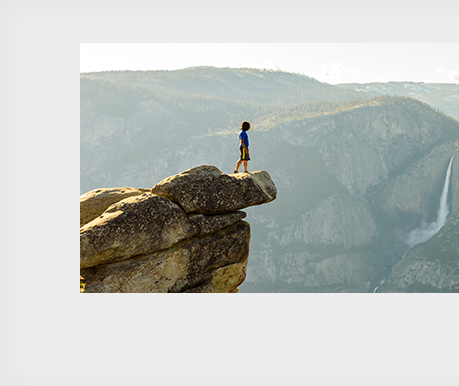 Come explore what we offer at our Yosemite hotel. Oakhurst is located 12 miles south of California's crown jewel Yosemite National Park. Encompassing almost 1,200 square miles on the east side of California Yosemite National Park consists of granite monoliths, waterfalls, hiking trails, and the Merced River. There is plenty to do and explore during your Northern California Trip. 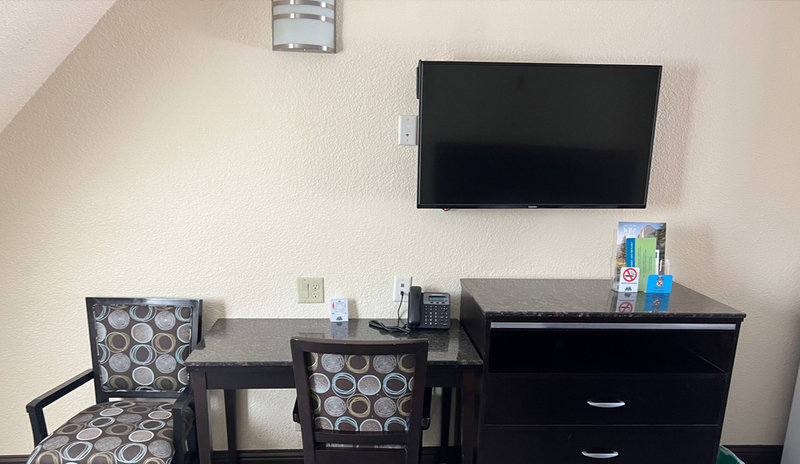 The Yosemite Sierra Inn consists of remodeled guest rooms featuring contemporary style granite tiled bathrooms, flat screen TV with HBO & ESPN, ironing board, hairdryer, mini-fridge, microwave oven, and much more.